The floor lamp UL - 01 is a striking feature light. 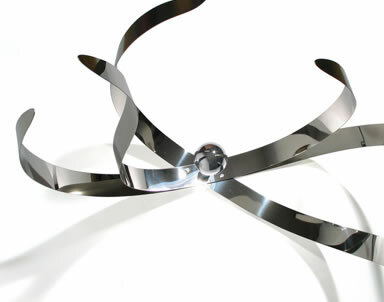 Polished blades of stainless steel arc gracefully around a central light source. Illuminated by a mirror globe lamp, the dynamic curves create a piece of sparkling beauty.